Normal "butterfly" popcorn pops out into a wildly-shaped mess, with bits of husk that get stuck between your teeth. 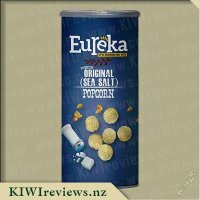 Not Eureka Premium Popcorn! We use a special variety called "mushroom" popcorn that forms large, roughly spherical balls of tastiness! Coated in dark chocolate, the salty sweetness is something you&apos;ll have to try to believe! 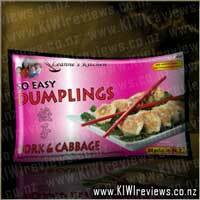 Comes sealed in a resealable 90g tub. Corn, sugar, salt, vegetable oil, dark compound chocolate, cocoa powder. Chocolate and popcorn is something I have long loved since having overseas options bought back so I was pretty keen to try something more locally available. I love the idea handy resealable container, I like the options of being able to have a smaller serving then putting the rest away for another time. To be honest, in this case it was fairly redundant given just how moreish this stuff is! I really enjoyed the dark chocolate/cocoa flavour, too me it didn&apos;t taste over powering or overly sweet. The popcorn itself is nice and light, as advertised, without the hard bits that normal popcorn can end up with. Surprisingly, the kids actually preferred the sea salt flavour, probably because they are not so much fans of dark chocolate, that just meant more for my partner and I. We didn&apos;t try the popcorn in anything remotely creative as we ate it all too quickly. The biggest downer for me is the cost, while yes this is probably more of a premium product and while yes I very much enjoyed it, I do consider the cost rather prohibitive, particularly being on a budget. I might consider it as a special treat particularly if I saw it on sale but otherwise I&apos;m not likely to seek out purchasing it. I was keen to try chocolate popcorn as I had only ever tried caramel popcorn in the sweet range of popcorn before. The chance to try this was great as I don&apos;t think I would have taken the box off the shelf when I couldn&apos;t see the contents. The packaging was weighty and dark - sadly you couldn&apos;t really see inside in advance which was a bit of a shame. The box/tube was filled to the top which was nice. I poured the whole lot into a bowl to share as an after dinner snack with friends. It felt a good size of portion. The shape of the popcorn was great - really big and the flavouring (chocolate) stuck to it really well. Nothing was left at the bottom in dusty pieces which I appreciated. I was a bit surprised that it came with a "dampness sucky thing" (I have no idea what they are called but it reminded me of the silicon you get at the bottom of bags when you buy them. This ended up in the bowl which I would watch for next time. There was also a second bit of plastic-y stuff that I have no idea what it was for but I guess it was to help the freshness. 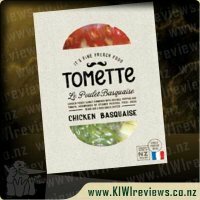 I was impressed at how crunchy and fresh it tasted and the smell was totally what I would have hoped for. The pieces were definitely bigger than I expected and I loved the way they didn&apos;t stick together at all or break up. The taste was where it fell down a little bit for me - a bit "dry" and the chocolate didn&apos;t have the richness I would have hoped for - it felt a bit like someone had turned baking cocoa into a paste and dipped the corn in it. That is possibly a bit harsh but I guess I was hoping for a more decadent treat and it felt like a sweet snack but nothing too special. In conclusion, it is not for me but was worth trying once. We are both popcorn and chocolate fans in our household so chocolate popcorn was sure to be a hit with us. 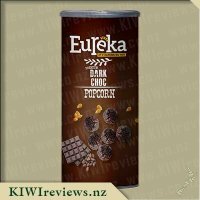 Eureka Premium Dark Choc Popcorn was available for review so of course I offered to take one for the team. My daughters (7 and 9 years old) were very excited when I offered it to them for afternoon tea. Miss 9 doesn&apos;t like dark chocolate but that wasn&apos;t going to stop her trying this popcorn. The first thing I noticed was that it didn&apos;t come in a bag like I expect for popcorn but in a tube like Pringles chips do. It was filled to the top so it hardly made a sound when you shook the tube. The girls commented that they were balls rather than the popcorn shape we are used too.This made them more fun and special. I divided the contents of the tube into three small bowls so we could share it fairly. It is important to note that the tube is only designed to serve one and I would have happily eaten the whole lot myself but I didn&apos;t.
We all really loved them. It was a shame hubby was at work so didn&apos;t get to try some too. It wasn&apos;t sickly sweet like a lot of coated popcorn is. The chocolate coating was very thin which made it perfect for me and I didn&apos;t here any complaints from the kids. I am looking forward to buying these in the future and adding them to gift hampers or just enjoying them by myself, if I can hide them from the kids. There are also more flavours that I would like to try. The price is more than I would expect to pay for popcorn but is an affordable occasional treat. I recommend you try it from yourself. Chocolate and popcorn are 2 things which I really love, and when I have tried the 2 of these combined in the past I have found that they go together perfectly. So seeing another chocolate coated popcorn becoming available in our supermarkets some time soon made me pretty excited! 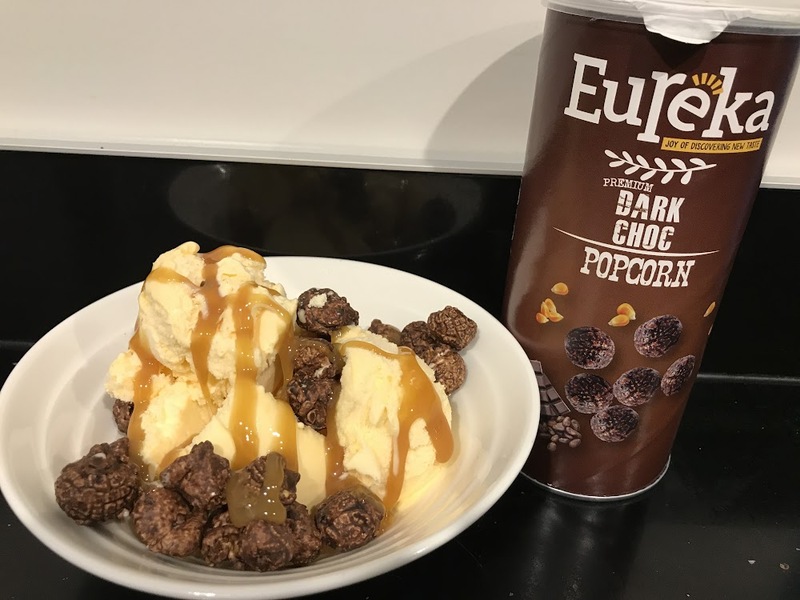 Like the other Eureka popcorn&apos;s in the range the Dark Choc Variety comes in a cardboard tube with a resealable cap, great for when you decided that you need to stop eating all of the popcorn! With 90 grams of popcorn in the package it weighs a bit more than it&apos;s sweet opposition the caramel corn which weighs in at 70 grams, however both are filled to the top of the tube which I am happy about, it&apos;s not often products are full these days! 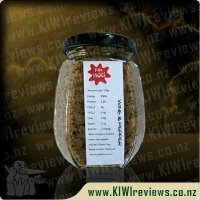 The popcorn is made from the mushroom variety which I have decided is the very best variety of popcorn on the market as it round, fluffy and soft to eat, it is also not full of all those nasty husks that get stuck between your teeth! Taste Wise I have to say I was a little disappointed and that this was probably my least favourite out of the 3 flavours I have tried, the reason being is that the chocolate used to coat this popcorn was in fact dark compound chocolate. To me compound chocolate is something that you use in baking rather than as an &apos;eating&apos; chocolate, and so I feel a different type of chocolate would have been better off being used here. Miss 4 didn&apos;t agree with me on this however as this was her favorite in the range. I decided to use this popcorn in a rocky road and so chopped up some plain biscuits, jelly snakes and mini marshmallows and mixed them into some melted milk chocolate along with the Dark Choc Popcorn. The results were really good and the popcorn seemed to keep it&apos;s shape and texture throughout the process, it didn&apos;t go soggy which is good. My friends and their children who enjoyed this with us loved it also, and they liked the idea of adding popcorn to a rocky road slice! WIth a small amount of popcorn leftover I decided to try and make my own version of the Freak Shake, the shakes that seem to be taking the world over by storm. I prepared a chocolate milkshake and then split it between 2 glass handles, to each of the milk shakes I added a dollop of ice cream, some M&M&apos;s, mini chocolate bars and lastly the chocolate popcorn which was then drizzled with chocolate sauce. The milkshake although very sweet was very nice, and the popcorn and other toppings gave a nice variety to the shake and were nice to nibble at along the way. This isn&apos;t a popcorn I would buy again but if you are a fan of dark chocolate and popcorn it would be worth you trying. This product has taught me something new. I enjoy popcorn and have eaten many bags of the pop in the microwave variety, and the popcorn you get at the movie theatre, but never did I realise you could get popcorn in different shapes. So to hear that the style I am used to is called &apos;butterfly&apos; and the type used in this product is called &apos;mushroom&apos; is new to me (fingers crossed a question about popcorn shape comes up in a future quiz night sometime, because now I know two varieties!). 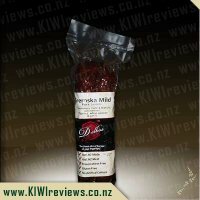 This Eureka Dark Chocolate popcorn comes in a tube, similar to that of pringles. I love that it has a lid on it that can be placed back on as it means the popcorn can be easily stored to enjoy again later. The tube is brown in colour which matches the fact that it is a chocolate flavour which makes it very easy to know what flavour you are reaching for if you were grabbing this product off the shelf in a supermarket in a hurry. I must admit that while I like chocolate and I like popcorn, I wasn&apos;t sure whether the two combined was going to taste any good. The fact that my favourite flavour popcorn is kettle corn, I was hoping these two would go well as I obviously like sweet flavoured popcorn. Upon opening the tube I could see that the mushroom shaped popcorn was quite different. It was a more perfect shape, nicely rounded and I felt as though the shape had something to do with the fact that the popcorn seemed to hold a lot of the chocolate flavour on it. It was like the roundness allowed the coating to cover it perfectly as it is rolled through. I tried a piece and was pleasantly surprised. The chocolate was quite cocoa-y, but being dark chocolate I was expecting this. It had enough sweetness and the popcorn complemented the chocolate well. 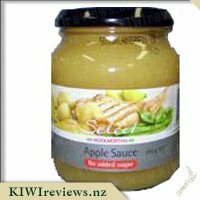 Wanting to find a way to use this product other than just eating it as it was I started to search through my pantry to see what I had. I discovered a packet of instant pudding so within 15 minutes we had a yummy dessert to try. I mixed the instant pudding as per the instructions and poured it into some parfait glasses. Once set, I took it out the fridge and topped it with the chocolate popcorn. It was absolutely delicious! The popcorn gave the pudding a nice crunchy texture and the two flavours complemented each other well. My husband enjoyed it and was hoping for more the next night. I did have to burst his bubble and tell him we had no more pudding! I put the lid back on the popcorn tube and stored it in the pantry. I opened the popcorn again four days later and it was still as fresh as when I first opened it which means the tube works well to keep the popcorn fresh. So these ones are the same mushroom popcorn as all other flavors made by Eureka, only these are coated in dark chocolate. I personally felt that the chocolate flavour was very cocoa tasting. In some chocolate the cocoa can be over powering, and unless I buying a product that is say 70% cocoa, I much prefer it when the cocoa is more subtle. So I admit that I was a little bit dissapointed in that. 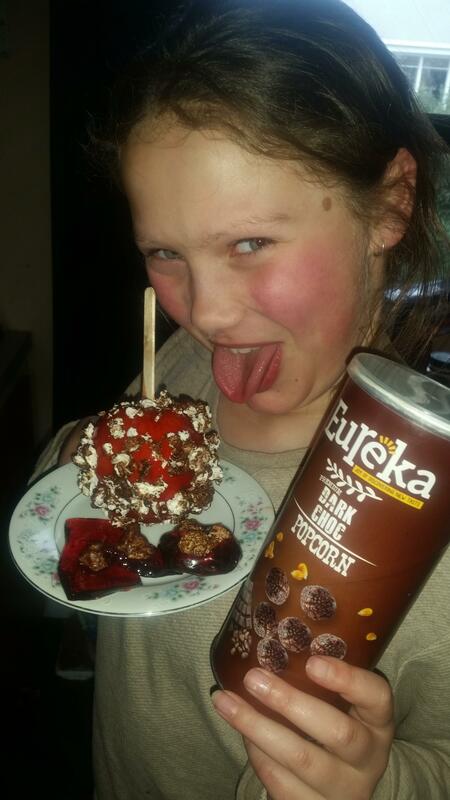 I had intended on making some home made toffee apples and teaming them with some Eureka caramel corn, but as my son decided in needed the caramel corn more than the toffee apples did, that never eventuated, so I decided I would use the chocolate popcorn to team with the toffee apples. I thought, or at least hoped, that teamed with the sweetness of the toffee and the apples, that it would go nicely and reduce the harsh cocoa flavour. I am happy to report that I was right. Ok, so the toffee apples may not have looked as fancy with the popcorn coating it haha, and these chocolate ones did not crush us as small as the sour cream ones when I experimented with them on something else, so made it a little difficult to stick to the toffee apples, but we got there in the end. The kids loved them and that is the main thing in my opinion. Price wise, I would imagine some people would pass by them because for the price the size of the tub seems quite small, but you get a surprisingly large amount of popcorn in the tub, so even though on the more expensive side, they are a really great product. 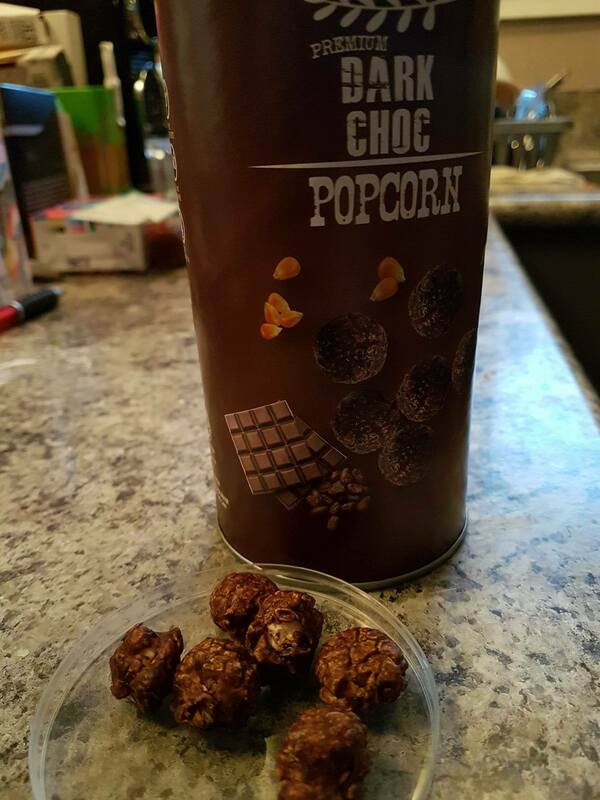 I love popcorn and over the years have enjoyed salty, buttered, sweet and caramel popcorn but have never had the pleasure of trying chocolate popcorn! I was quite intrigued as to how the chocolate and popcorn would combine but I was very impressed. I have never tasted &apos;mushroom&apos; popcorn either but was impressed with the shape and also the fact that there were no annoying husks to get stuck in my teeth! The Premium Dark Choc popcorn comes in a tube with a resealable plastic lid. 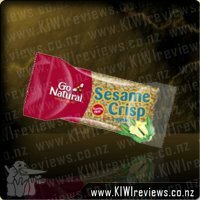 It claims to have fine ingredients, non-GMO corn kernels and no preservatives making it great for the whole family. The 90g tube contains 1 serving which you may get through in a cinema sitting. Personally, I would find it hard to get through it all in one session at home. I did find that after a few days the popcorn had gone soft and chewy so I would definitely recommend eating it relatively soon after opening. I also enjoyed the dark chocolate popcorn and my only problem was squishing my hand into a shape that could reach the popcorn at the bottom! The safer option was to pour them into my hand. I liked that they were sweet but not sickly sweet. 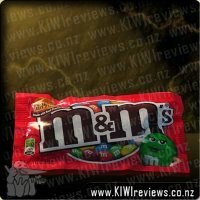 They do contain quite a lot of sugar so this is definitely a treat food but I would definitely prefer to smuggle this into the cinema than buy the popcorn there! Popcorn is a fantastic little snack. 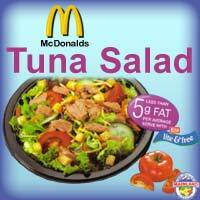 You can eat quite a bit of it before you even start to feel full. I&apos;ve tried caramel, salted, fruit, butter and sweet and salty popcorn before but never chococalte. 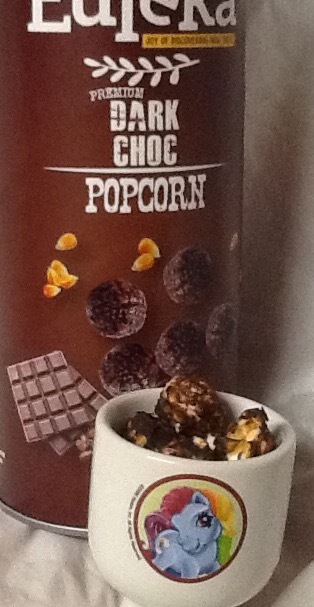 So when I saw this chocolate popcorn up for review I jumped at the chance to try it. Much like the Salt and Caramel flavours this one came in a 70g tube which protected the popcorn from being crushed in transport. Getting excited about having a bag of popcorn after a long day only to find out that the bag has been badly handled and is full of tiny pieces all broken apart is such a bad end to the day but with the Eureka tubes you wont have this issue at all. It&apos;s the little things like this that will make me more likely to buy it in the future. Other than the obvious, "eat it, eat it all," I wasn&apos;t entirely sure what to do with the chocoalte popcorn so I decided to add a handful to my ice cream to give it some more flavour and texture. This was definitely the right call. The crunchy chocolate popcorn really improved my plain vanilla ice cream and went soo well with the caramel sauce I added to the top. I also think this popcorn would make a fantastic adition to some homemade scrogan mix with some nuts and raisins. My only concern with the popcorn would be how long it would last before it went a bit stale. I did notice that the chocolate flavour in particular didn&apos;t have the fresh crunch that the other two flavours had but after a handful it was barely noticable over the dark chocoalte flavour. 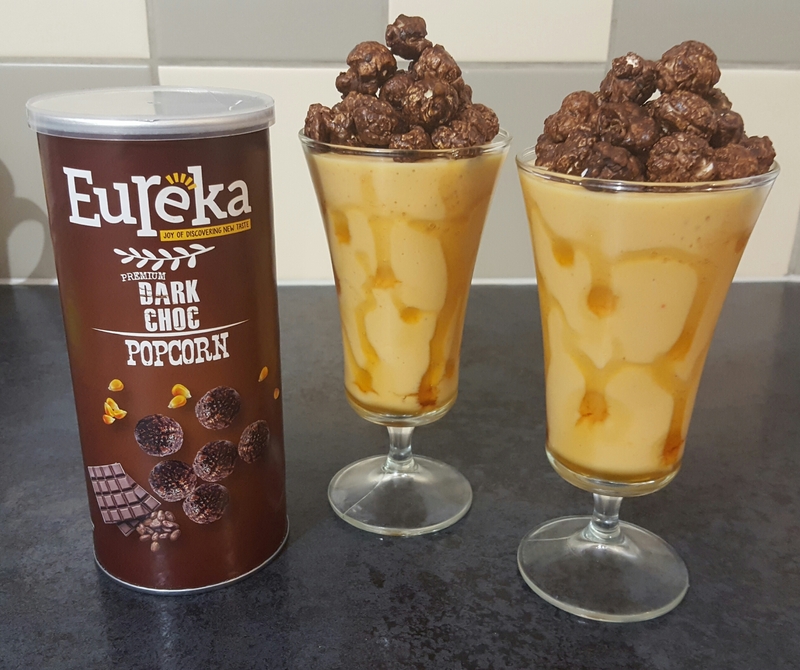 After a tasting test with three of the Eureka Popcorn flavours (Chocolate, Caramel & Salt) my son declared that the chocolate popcorn was his favourite, my husband liked all three and although I did enjoy the chocolate popcorn, caramel has special place in my stomach so that was the clear winner for me. Popcorn is like Gold around our house. We have a popcorn maker and it is used most weekends, I also buy Popcorn from the supermarket when on special, for the girls lunches, not to mention when we venture to the movies we all have our own popcorn box and no ones usually makes it to the very end of the movie with out it running out. Yes, it is fair to say we are a family of popcorn lovers. Living overseas I used to see shops selling flavoured popcorn but to be honest I never tried any. I have always been content with butter, salt or icing sugar and on odd occasions caramel and rainbow flavoured popcorn the thought of various flavours kind of freaked me out. But when the opportunity to trial chocolate with popcorn came up I jumped at the opportunity. I love buying M&M&apos;s and tipping them into the movie box to give that extra crunch but I have never considered covering our popcorn in chocolate. Looking at the tube they came in the popcorn kind of looked like raisins and I was a little worried about how they would taste. The tube is in brown and honestly I did not find that colour very appealing. I had a quick look at the container and it had the Nurtitional Information and not a lot of other information besides that it has no Preservatives and Non-GMO Corn Kernal which made me feel a little better. Opening it was a breeze and then I spied the popcorn. Everyone had the same reaction &apos;that it did not look that yummy&apos; and both my daughters were a little hesitant to try it. But as the saying goes &apos;you can not judge a book by its cover&apos; and I am so glad we didn&apos;t. OMG they are amazing. 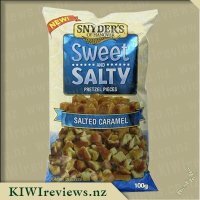 The chocolate coating is divine, it actually melts in your mouth and the popcorn is so fresh and yummy. The problem lies that one is never enough and when you have four people fighting over the next handful the container is finished before you knew it. All of us agreed it is so yummy and we could all individually eat a tube by ourselves. I did find my hand had the residue of chocolate all over it, but a quick lick and it was gone. The price is a bit of an issue, but as my husband pointed out that movie theaters charge an arm and a leg so in relation to that they are pretty much on par. It is not the sort of item I would buy all the time but every once and a while for a treat I am definitely sold as they really are the perfect yummy snack. I have always loved popcorn, both sweet and salty, but this variety was a new one for me. However, I also like dark chocolate, so it seemed like a sensible thing to combine the two. And work it does - the label on the pack announces "Eureka! Joy of discovering new taste" which is exactly what happened when I bit into my first one. Unusual, yes - but very nice. I was amazed to find I had eaten a third of the packet without realising it, so I guess that means I liked it. Stopping hastily before I finished them all myself, l enlisted the help of a friend to give me a second opinion. She was equally taken aback by the new flavour. She would never have thought of chocolate being a suitable mix for popcorn, but took my word for it that it was really good. Her face was a picture as she ate her first flake. She nodded her agreement, and stretched out her hand so I could shake out a few more for her. When her mouth was empty (half a dozen flakes later) she said that it was a real treat. The flavour and texture were both perfect, with the combination of crunchy popcorn and soft chocolate, and she would buy it again without doubt. She is always dieting as she puts weight on easily, and one of her downfalls is sweet foods. She likes lollies and cakes and all the other things that dieters are supposed to avoid, and she mentioned that "4.30 pm slump" when she is at her tiredest and hungriest and is most likely to give in and eat a chocolate bar. Much to her delight, she found on reading the list of ingredients that a full pack offers just under 500 calories so if she made a pack last five days she could get her chocolate fix without taking too many nasties on board. We kept on eating and she kept coming up with new comments - not only was she pleased that she could factor them in to her diet, but she would actually be eating something nutritious as opposed to the empty content of many junk foods. The main ingredient of this popcorn is corn, not sugar or fat - they are there too but in much smaller quantities. I reminded her that the benefit would be less if she continued to eat the rest of the packet, but she was enjoying herself too much to pay any attention to that. Just when I thought she was going to eat all of them and leave none for me, a second friend popped her head round the door and got very excited when she saw what we had. She begged a few so she could take them home and crush them to put on top of some afghans she had just made in place of her usual walnuts. I gave her the last few in the packet with the request that I would like to taste one of the afghans in due course. 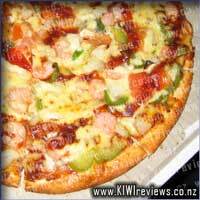 Which I did, and she was right, they worked well as a topping too. So altogether this is a new product that several of us will be continuing to try. The first sense that this popcorn triggered for me was smell as I popped off the lid , peeled back the seal and the chocolate aroma hit me.The shape of this popcorn is very different to what I am use to as it is made from mushroom type kernel&apos;s and yields a large rounded popcorn. It makes sense as to why this popcorn is used in this application due to the shape it holds the chocolate coating well because it is less likely to break pieces off while coating and has a larger surface for the coating to contact. I placed four of the popcorn pieces into my mouth to test out the most critical aspect that food has which of course is taste. The taste of this popcorn is fantastic, not overly sweet but also not too savory or salty which can be a instant deal breaker. It has a delicious chocolate flavor that sticks to the taste buds for a while after finishing and is highly welcomed. Popcorn is such an easy go to snack that is great for school lunches, party&apos;s and the most common reason that is watching movies or shows. The portion size of this tube is great and handy but leads to the closest thing to a flaw I could pick ; The price. 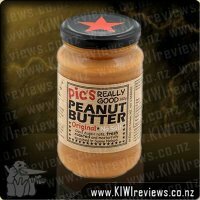 The Price is a tad bit high but I truly believe that the quality and taste of the product its justified. To top it all off this popcorn is Preservative free and even better uses non GMO corn kernel&apos;s. I would highly recommend Eureka dark choc popcorn and will be on the lookout for it again myself. 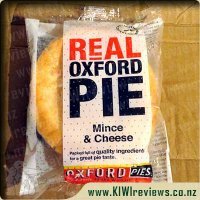 Mince & Cheese pies have been around almost since Noah popped his floating zoo into dry-dock, so every Kiwi knows it&apos;s Summer when the pies and sauce come out of the picnic basket at the beach!